Hamilton Beach 6-Quart Portable Slow Cooker Just $22.09! Down From $63! 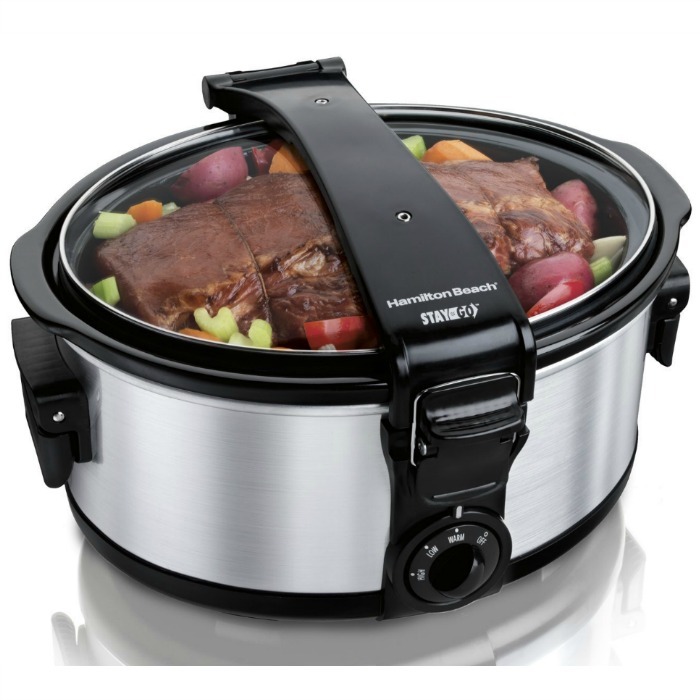 You are here: Home / Great Deals / Amazon Deals / Hamilton Beach 6-Quart Portable Slow Cooker Just $22.09! Down From $63! Amazon has this Hamilton Beach 6-Quart Portable Slow Cooker for just $22.09 (Reg. $63)! The Stay or Go 6 Quart Portable Slow Cooker offers thoughtful features that make it easy to take anywhere. It has a clip-locked lid with a tight seal for spill-resistant travel and full-grip handles to make carrying easy. At serving time, the hinged lid stays up and out of the way. Slow cooking one of the best ways to bring out the full flavors of meat and vegetables. It’s also low stress, because there is so little preparation involved. You can get it ready in the morning and you don’t have to think about it again until dinnertime. Just add the ingredients to the Stay or Go 6 Quart Portable Slow Cooker, close the lid and set the cooking temperature. Your food is ready when you get home, and it’s large enough to handle all your potluck and dinnertime favorites. To make cleaning easy, the lid and the removable stoneware crock are dishwasher safe.